Whether you’re a regular pumper or new to resistance training, Les Mills BODYPUMP™ will guarantee both results and enjoyment from every class! Burn up to 500 calories with this high-repetition weights workout which is choreographed to music. Using a weight selection of your choice, you are in control of the intensity, making it suitable for all levels. Les Mills BODYPUMP™ at Simply Gym Bedford is a full body workout. We start with a warm-up to prepare your body, followed by tracks for the legs, glutes, upper body and core. Plus, our qualified instructors will guide you ‘every rep of the way’! Why book a Bodypump class at Simply Gym Bedford? Les Mills BODYPUMP™ will burn calories, improve muscular endurance and help to tone and shape your whole body. By lifting light-to-moderate weights over a high number of repetitions, you can develop a leaner and more athletic appearance. It will also improve your core strength and support bone health. We would love to see you at one of our group exercise classes, with no additional charge for Simply Gym members! 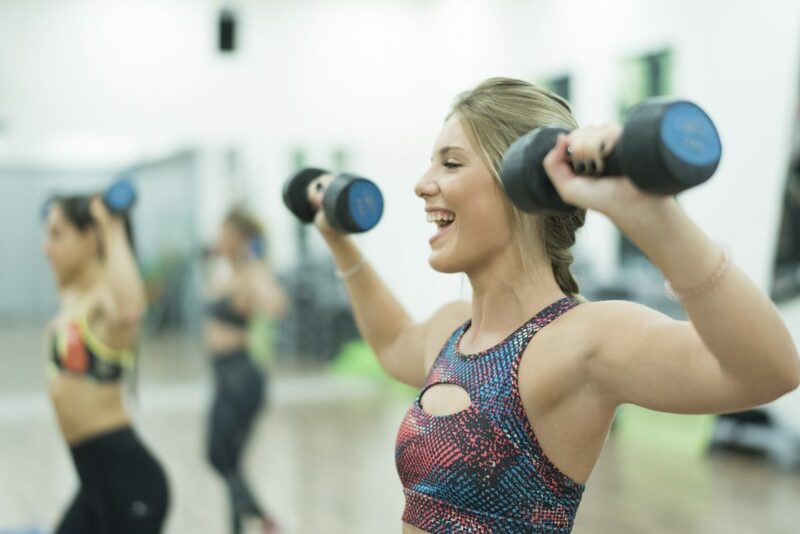 With a Bodypump class on 4 days a week and various other group exercise classes available, make sure you’re making the most of our studio timetable offering at Simply Gym Bedford! If you are new to Simply Gym, you can always speak to a member of staff or an instructor to find out which class is the best option for you! Book your class today to meet other Simply Gym members, feel the energy in the studio and discover the benefits of working out with friends! Simply Gym Les Mills Bodypump classes are located in the modern and well-equipped fitness studio at Simply Gym. The gym is located in the Interchange Shopping Centre, Bedford near to Sports Direct, Costa, TK Maxx and The Range.